is always up there at the top of the list. Jesse lives in Texas, so the book has a Texas bent to it, but it’s applicable all over the country. What’s more Jesse, like me, is a sniper. 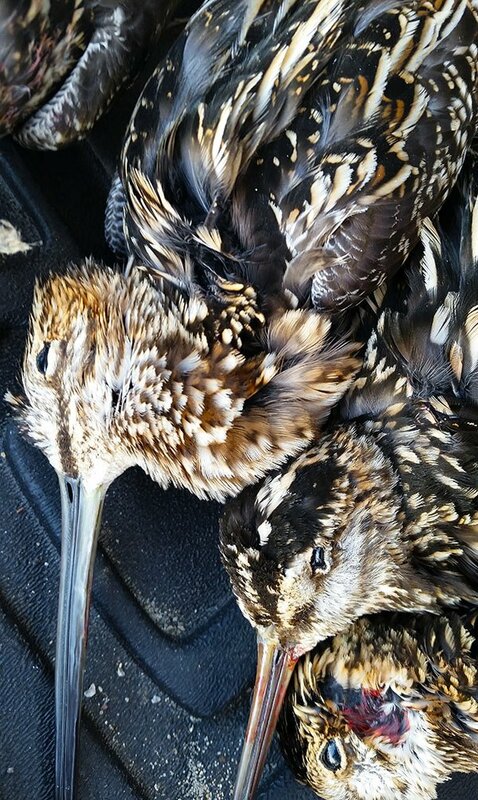 Here in America, we largely hunt the Wilson’s snipe, Gallinago delicata, and it is one of the last shorebirds we’re allowed to legally hunt. They are, along with the mourning dove, the smallest gamebird we chase. Little juveniles can weigh only a few ounces, and even a “giant” snipe will only weigh about six ounces. Their small size isn’t the only thing that makes them challenging. Snipe can reach speeds of 60 miles per hour, and flush like a bat on methamphetamines, punctuating their flight with a raspy scaipe! sound that is one of your best indicators that what just flushed in front of you is indeed a snipe, not a dunlin, godwit or other shorebird — none of which are legal to hunt. The national limit is eight snipe a day, and if you can do that consistently, you’re a sniper. Yes, that’s where the term comes from. Snipe like to congregate in their wintering grounds, and Texas, where Jesse lives, as well as Northern California, where I live, are two such places. Florida is another serious snipe hunting area. 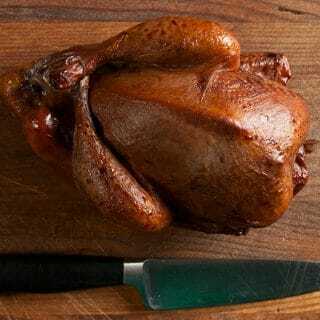 Flavorwise, they are something like a combination of grouse, dove and duck. I know, this won’t help you if you haven’t eaten these birds. Take my word for it: They’re delicious. And weirdly meaty for their small size! More than a quarter of a snipe’s overall weight is its breast meat, the highest percentage of all birds. I normally roast snipe when I get them in a very hot oven. But Jesse, being a Southerner, likes his fried. He has a recipe in his book Afield for Hot Fried Birds. that works with snipe, doves and quail. 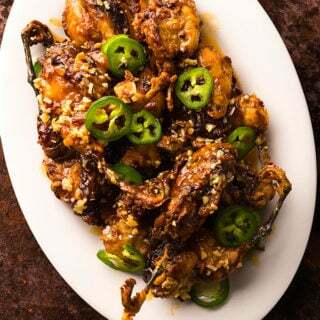 The birds are split, fried and doused with a mix of hot sauce, honey, butter and garlic. A few slices chiles rounds it out. Yes, the feet are still on for a reason. First, they look cool. Second, and here’s the coolest thing about this recipe, frying softens the bones of a snipe to the point where you can eat them! 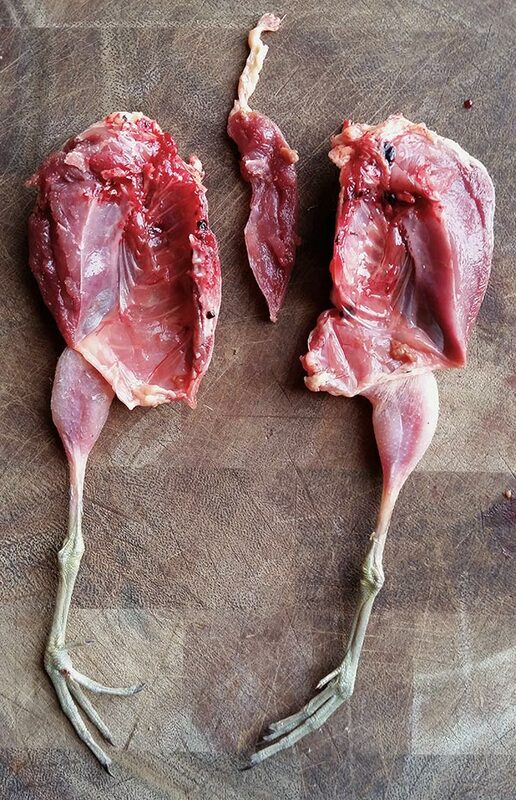 You can eat almost the entire snipe when done this way. Ditto for doves. Quail are a little stockier, so you’ll still need a bone bowl. Extra calcium for everyone! When I finally made Jesse’s recipe, I was pretty sure it’d be good. I was wrong. It’s fantastic. Like, punch yo momma in the face good! Like, get away, they’re all mine good! You need these in your life. I know, snipe are hard to come by. But doves work great, and quail, especially store-bought quail, which are smaller than wild ones, work well too. Make this as an appetizer. You won’t be sad. You can use quail, wild or store-bought, or doves for this recipe if you don't have snipe. Don't skimp on the sauce, as it's awesome: sweet, buttery, spicy, garlicky. These are best served within minutes of being doused in the sauce, so don't let them wait around. Split the birds down the middle to remove the keelbone. Soak in buttermilk in the fridge for at least 3 hours and up to a day. Remove the birds from the buttermilk, arrange in one layer and dust with salt and black pepper. Set the flour in a shallow bowl you can dredge the birds in. Sprinkle a little water into the flour and move it around a bit to make little balls -- these little balls will stick to the birds and create spots where the crust is thicker and crispier. Dredge the birds in the flour and let them sit in the fridge for an hour. When the birds have sat in the fridge about 30 minutes, heat the butter, honey, hot sauce and garlic in a small pot over low heat. You want them to just marry flavors, not sizzle. In another pot, heat enough oil to come about 2 inches up the sides. Heat this to between 350F and 375F. Fry the birds in the hot oil for about 3 minutes per side. You want them golden brown, not burnt. By moving them from fridge to fryer, the meat won't overcook. Drain on a rack or paper towels. 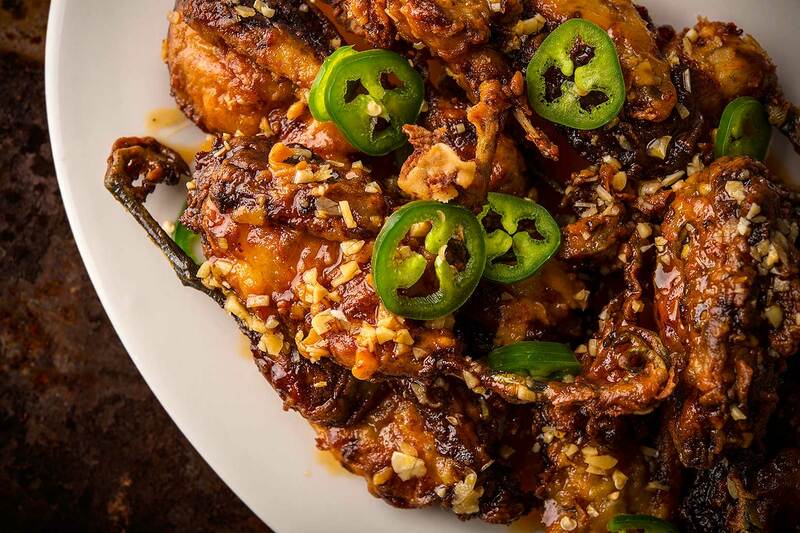 When all the birds are ready, toss with the sauce and eat at once. Find all sorts of recipes for gamebirds here on Hunter Angler Gardener Cook! Superb, just made this with 4 woodcock. Sauce is fantastic.